The boathouse is one of four commissioned by Mayor Rahm Emanuel to help draw people toward—and hopefully onto—the city’s industrial and neglected waterways, which he calls Chicago’s “next recreational frontier.” The idea is that if Chicagoans come to see the rivers as an urban asset it will create momentum to get them cleaned up. 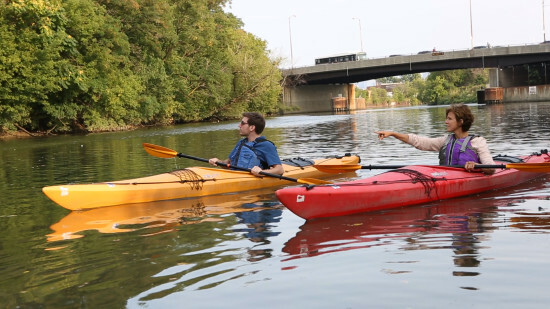 And any environmental revitalization would go hand-in-hand with economic revitalization, especially outside of the city’s core where the first phase of the Riverwalk opened this summer. 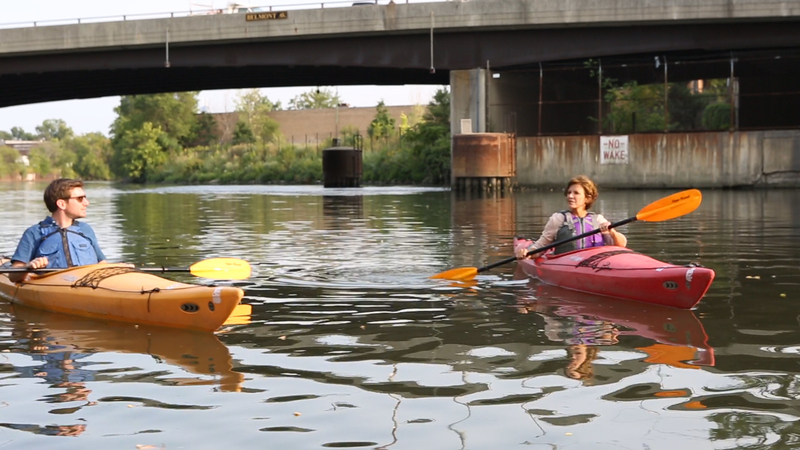 The Architect’s Newspaper recently visited the WMS Boathouse with Studio Gang founder Jeanne Gang, and went kayaking with her to talk about the boathouse, the river, and how her firm plans to continue producing unique architecture as its influence expands around the Midwest and beyond.